The 1993 was one of the worst years ever for weather in the Douro, with rain falling throughout the harvest. No declarations were made and little or no vintage Port was made. Italian wines from the 1993 vintage fared better than their predecessors in 1992 - the weather was still unfavourable, however there were more acceptable wines produced. Barolos from this vintage offered a good experience, and should still be drinking now. 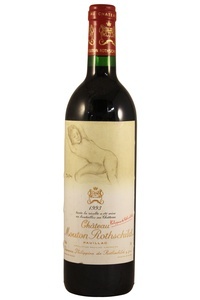 The 1993 in Bordeaux is considered to be a moderate vintage, following on from the poor vintages of 1991 and 1992. Despite some dilution from late rains in September, the better examples of wine from this year exhibit a deep colour, rich intensity and good structure. 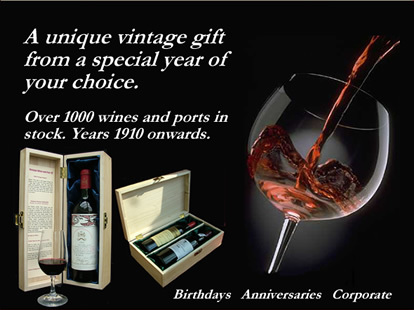 The top wines from 1993 find more favour with critics than 1991 and 1992 and should still offer a good drinking experience now, making them a good 26 year old wine gift for a birthday or anniversary celebration. Now under new ownership, Gruaud-Larose appears to have emerged from the mini-slump or stylistic indecisiveness of the late eighties. From the good 1993 vintage, the Chateau La Tour de By has a slightly diffuse, tobacco scented nose followed by a palate of moderate concentration with cedar and tobacco. This 1993 Wine from Domaine de Chevalier has a surprisingly good colour. The nose is typical of unripe (cool climate) cabernet Sauvignon. The palate is a little light but the finish is good. A successful wine for Lafite, this dark ruby/purple-coloured 1993 is tightly-wound, medium-bodied, with a closed set of aromatics that reluctantly reveal hints of sweet blackcurrant fruit, weedy tobacco, and lead pencil scents.